Over the last 35 years, Duke University has had a championship basketball team on the court. In another court, Duke didn’t do too well. 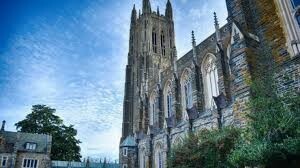 Duke University just settled a lawsuit alleging that it mismanaged its 403(b) plan for employees for $10.7 million. Plaintiffs in the case were represented by well known ERISA litigator, Jerry Schlichter. Before the Duke settlement, universities were on a winning streak in beating back 403(b) fee lawsuits. It just proves that every case is unique and every university has to make the decision whether it’s costlier to settle or costlier to fight.